It's hard to believe the "BER" months are officially here...well in a few hours! I want to try something new on the blog and show you what adorable kid clothes I'm building Holiday's seasonal wardrobe with. This time of year, I'm always obsessed with everything apples, so I was over the moon when I saw Matilda Jane Clothing Company's past two releases. 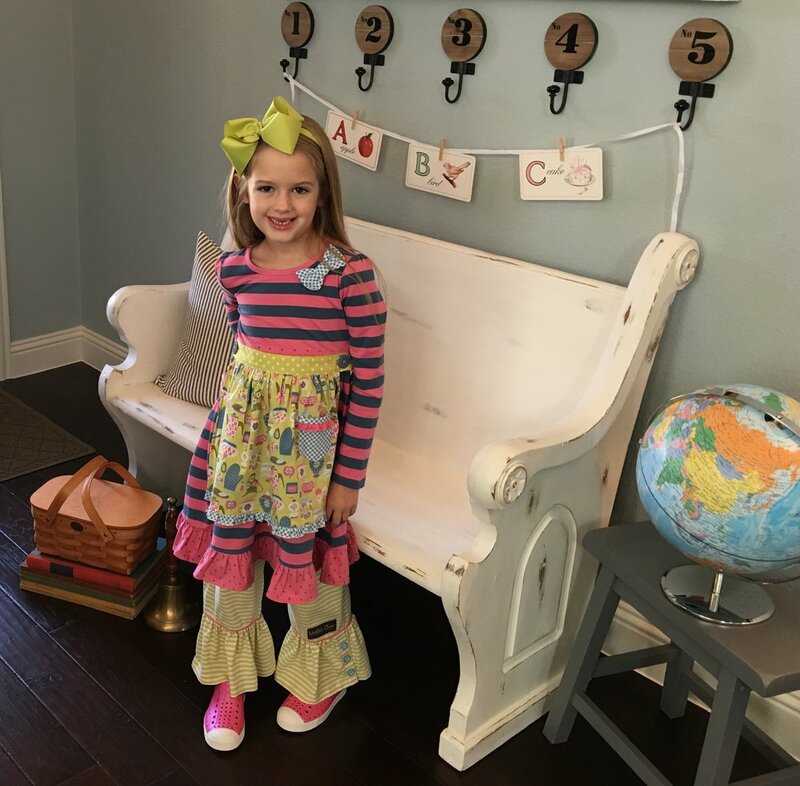 Since I know so many of my readers love Matilda Jane as much as I do, I wanted to show you how I'm styling some of our current pieces. And BEST OF ALL, tomorrow is the 1st- so that means NEW pieces are loading to the site early tomorrow morning! I have a party open, so if you need a show to order from- I'm you girl! Check out all the sneaks for tomorrow's release at the end of this post! In this photo, Holiday is wearing the Matilda Jane Put on a Show Cookie Dress and Show Me Stocks. Again, we paired this with the Livie and Luca Navy Blue Astirds. We topped this with the Mini Boden Cable Cardigan in the Soft Blossom Pink Color. These Mini Boden cardigans are a fall/winter/early spring staple for us! Showing the same outfit without the sweater, headband is from One Stop Bow Shop. I love the fall colors on the skirt of this Ellie top-- it so reminds me of pumpkin patch fun! I love, love, LOVE the details on this top! 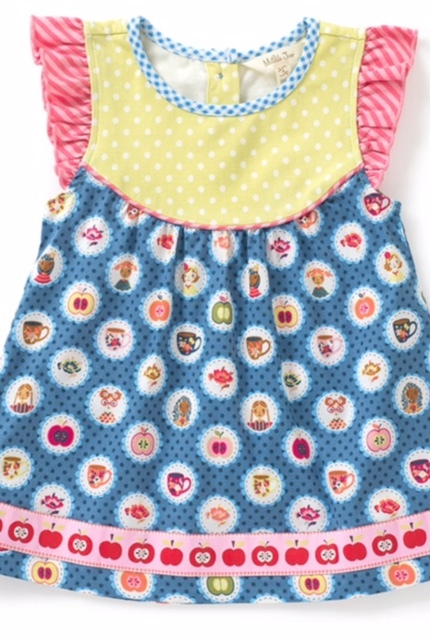 This is the Matilda Jane Somethings' Cooking Apron Dress! If you're familiar with the apron style, the apron buttons to the front of the dress and ties around the back. You have the option to wear it with or without the apron. It is darling both ways! In this photo, we paired it with the Matilda Jane Library Book Big Ruffles (match almost this entire current collection) and Native Jeffersons in Galaxy Pink! Headband bow is by One Stop Bow Shop. Another shot of this with the apron! How cute is this?! Best of all-- the apron can be worn as a regular half apron too! TOMORROW IS THE DAY!!! THE FOLLOWING PICS ARE ALL SNEAK PEAKS OF WHAT IS COMING IN THE MORNING! The details are all back up at the top of this post for how to order!